April 5, 2017, 8:13 PM · Aaron Dworkin announced on Wednesday that he will step down as Dean of the University of Michigan's School of Music, Theatre & Dance, effective August 15. 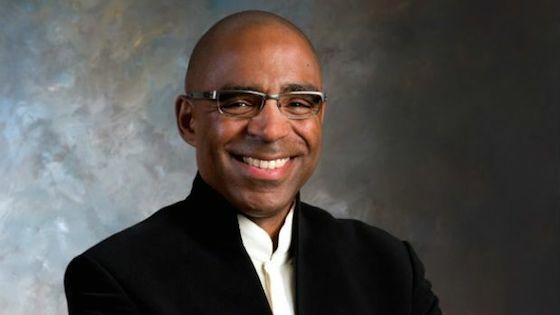 "We were saddened today with the news that Aaron Dworkin will be stepping down as Dean at the end of this summer," said UM Professor of Violin and Chair of Strings Stephen Shipps. "He cites family and time issues that have resulted from raising his two boys and the extensive responsibilities of the administrative leadership. We feel very fortunate to have enjoyed his leadership for the past two years and wish him well as he moves to a position in the faculty of our school." As Dean at Michigan, Dworkin founded a number of new initiatives and programs, including the M-Prize chamber music competition; a new Department of Chamber Music; and increased entrepreneurship and leadership training. He raised considerable scholarship and development money, doubled community engagement activities and developed live streaming and professional audio recording capacity in school venues. He also added Danielle Belen's Center Stage Strings to the department's summer programs. In a statement on the school's webpage Dworkin said: "It is necessary for me to have the opportunity to focus more on my family, and this step reflects a joint family decision on our part. I appreciate your understanding about this, and my need for privacy on this matter." An interim dean is yet to be named. Dworkin, 46, was appointed Dean in 2015, to a five-year term. A violinist with both bachelor's and master's degrees in music from the University of Michigan, Dworkin founded the Sphinx Organization in 1996 to help increase diversity in the arts. The Sphinx Competition for black and Latino string players, now run by his wife Afa Sadykhly Dworkin, takes place annually in Ann Arbor and Detroit. Dworkin received a MacArthur Fellowship in 2005 for his work with Sphinx. Dworkin said he will continue as faculty at UM, teaching Creative Entrepreneurship and Arts Leadership courses in the fall.